If toe separation isn’t your thing, but you still want a grippy sock, these just may be perfect for you. 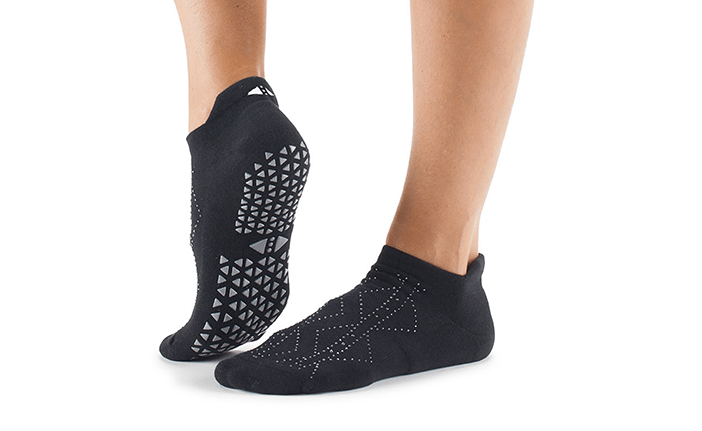 These low-rise socks include an arch band for arch support and heel tabs to protect your achilles tendon. Made of organic cotton.